The Belgian Shepherd Dog (Malinois) is a breed of dog, sometimes classified as a variety of the Belgian Shepherd Dog rather than as a separate breed. Like all Belgian Shepherds, the Malinois is a medium-sized, hard-working, square-proportioned dog in the sheepdog family. 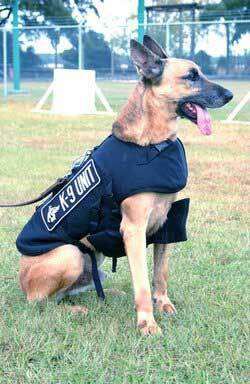 The Malinois is recognised by its short brown and yellow coat and its black ears, cheeks, and muzzle.